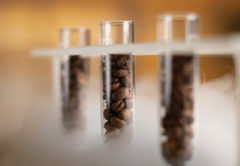 While many baristas think of water quality in terms of how it affects filter coffee brewing, Dr Adam Carr of Seven Miles Coffee Roasters’ Coffee Science Education Centre (CSEC) says the same principles apply to espresso. “Both methods extract solids from roasted coffee using water. 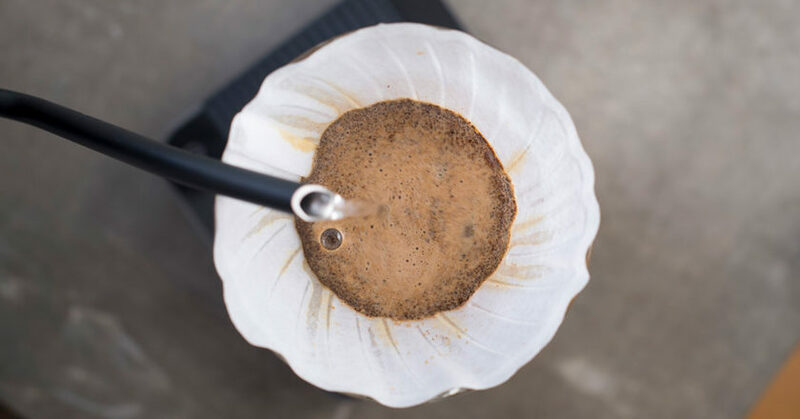 There’s actually no difference in chemical mechanisms in terms of extraction,” Adam says. To delve deeper into the espresso extraction process, CSEC has released details of a study into what water composition maximises flavour. 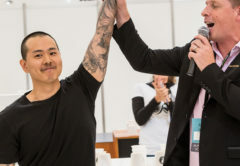 “The primary objective of the study was to determine what kind of water filtration systems [Seven Miles] can put in its cafés to achieve a consistent quality coffee anywhere in Australia,” Adam says. For CSEC, that standard could only be obtained through rigorous analytical chemistry and skilled barista work. The centre tested the impact a range of tap, artificially modified, and purified waters had on espresso. The chemistry of the resulting brews and brew waters was analysed through a combination of scientific processes. These included gas chromatography with mass spectrometry, inductively coupled plasma optical emission spectrometry, a bank of photometers, and a series of pH/conductivity multiprobes. 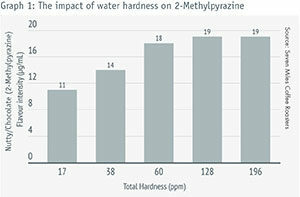 Water hardness’s effect on flavour became less prominent after 60-70 ppm. Adam says results of this study are similar to the Specialty Coffee Association (SCA)’s brewing guidelines. “If you look at the SCA standard brewing chart, our findings indicate that window is just as relevant for espresso,” he says. The study looked at how three elements of water affected flavours in extraction: hardness (the amount of calcium, magnesium, carbonate, and bicarbonate in water), pH levels, and total dissolved solids (TDS). CSEC tested water with modified levels of these factors, ranging between 17 and 198 parts per million (ppm) hardness, 4.5 and 11.6 pH, and 100 to 600 milligrams per litre TDS. 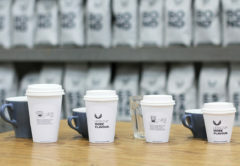 A medium-roasted coffee was extracted to a standardised recipe using a La Marzocco Linea Mini coffee machine, with a 170-millilitre boiler, operated at 93°C. CSEC then analysed the concentration of chemicals extracted from the coffee that are attributed to certain flavour characteristics, such as nutty/roasted (2-methylpyrazine), fruity (furaneol), vanilla/caramel (vanillin), and caffeine/bitterness (caffeine). “The biggest effect on flavour was achieved by modifying the hardness of the water,” Adam says. Adam says this cap conveniently lines up with machine manufacturer recommendations, with higher hardness levels contributing to corrosion and lime scale – the build-up of minerals as boiled water evaporates. He also recommends a minimum hardness of 50ppm. “Below this level, you get a significant drop off in flavour and get a flat tasting coffee,” Adam says. 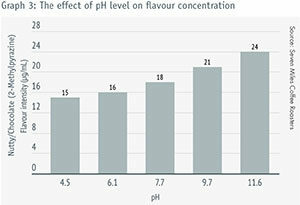 Higher pH tended to concentrate stronger flavours in coffee, though not to the same extent as hardness. However, higher pH levels also led to issues in the extraction process. Total dissolved solids had little effect on flavour. “When we got to a certain pH level, we experienced what we think was a neutralisation reaction,” Adam says. CSEC also doesn’t recommend a low pH level, as this can damage a machine. It also had an unusual effect on the extraction of vanillin. “Vanillin’s extraction concentration got lower with increases in pH until it got to a level of 7.7, where it flipped around and saw a significant jump,” Adam says. Due to this, Seven Miles recommends a pH level between seven and 8.5. 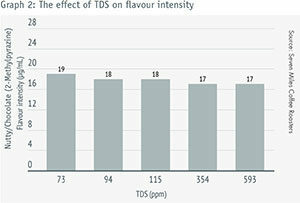 In the case of TDS, CSEC says it has almost no impact on flavour. 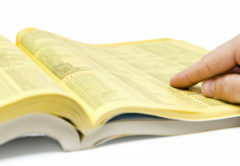 TDS refers to all organic and inorganic compounds in water. For the study, to isolate the effect of TDS, CSEC manipulated waters with salts that did not impact hardness or the pH of the solution. “TDS had absolutely had no effect on the extraction of any materials. Everything basically flatlined,” Adam says. CSEC’s research also involved going into the field, and measuring the contents of local water supplies for comparison. Based at Seven Miles’ Manly Vale roastery in New South Wales, CSEC naturally began fieldwork in Sydney, where it found the water already fit in its recommended parameters. 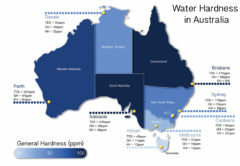 “That 50 to 80ppm hardness, chloride levels, and pH in Sydney’s water was serendipitous with our findings. It just so happened that the water quality you want for coffee is what Sydney Water is pumping out of their stations,” Adam says. High pH levels led to problems in the extraction process. However, the water leaving pumping stations doesn’t always have the same composition once it reaches someone’s home or café. “It has to pass through a massive piping network, and if you’ve got pipes that were laid decades ago, you can get a lot of different materials passing through there,” Adam says. Using the information from this study, Seven Miles intends to help its café clients achieve consistent water quality. “Seven Miles has developed a filtration heuristic, basically a problem-solving diagram which we have automated in our systems,” Adam says. “We’re able to go into any café in Australia, take measurements of the water, and now that we know the targets, install the right filtration system. CSEC’s next step is to analyse Queensland’s water supply, where Adam says the water is not at the level of quality Seven Miles has benchmarked. “We’ve heard reports of some people in Queensland having some problems with chloride recently. We’ll be going out there and looking at the best filtration strategies to mitigate that,” he says. Seven Miles can do this through a combination of filters, water softeners and hardeners, remineralisation cartridges, and carbon filters. “Getting good quality coffee is achievable even with really difficult-to-work-with water,” Adam says. This article appears in the April edition of BeanScene. Subscribe now.